Anyone acquainted with both the New Internationalist (NI) and Candida Lacey would agree that together they form a marriage made in publishing heaven. The former is best known as a non-profit magazine with a cooperative philosophy, while the latter started her career at Pandora, part of a cohort of feminist publishers that flourished in the 1980s, and has continued down the path of publishing socially aware and political books over the following decades. This coming together of like-minded concerns, which took place in April last year, marked a refreshed and strengthened Myriad Editions. "It’s given us the opportunity to rethink our strategy," confirms Lacey. "We’ve always punched above our weight but it’s increasingly hard to carve a space in the same territories as corporate publishers." Lacey is keen to point out that the political, even radical, side of Myriad was a cornerstone from the company’s early days as a packager; now, however, it’s been given extra impetus. "We started publishing a wide range of fiction, from crime [Myriad had a big hit with crime writer Elizabeth Haynes, author of Into the Darkest Corner] through to commercial to literary and experimental fiction. This new partnership has given us a more defined context - a political context almost - of publishing literature that matters." Having moved from its base in Brighton to NI’s Oxford office, Myriad is expanding its geographical reach too, with a desire to publish talent from further afield. "There has always been a robust local side to Myriad, finding debut writers from Brighton and beyond, as well as an international slant to the business thanks to the atlases," Lacey explains. 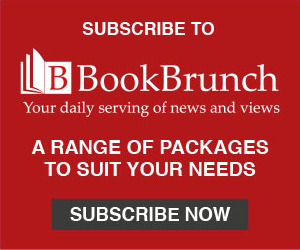 "The merger has given us the ability to go global, beyond publishing UK-based debuts, and to build up a world literature list, allowing us to look for more diversity in writers and reach a wider readership that we didn’t have before. NI has provided valuable editorial support in this area because of its track record in publishing political non-fiction and African fiction - where it has led the way, publishing the Caine Prize anthology every year." A notable product of the partnership is one close to Lacey’s heart. "One of the many books we’re excited about this year, which wouldn’t have been possible had it not been for the merger with NI, is a companion volume to Margaret Busby’s Daughters of Africa, which I published 25 years ago at Cape," she reveals. "The first edition spanned writers from the ancient Egyptians to the modern day. Since 1992, there’s been a flourishing of writers of African descent, from Zadie Smith to Chimamanda Ngozi Adichie. There’s still under-representation, of course, but it’s thrilling to see Margaret charting a literary canon and celebrating 200 contemporary women writers from around the world in New Daughters of Africa." Lacey is proud to have been part of a group of women’s presses that by 1988 totalled 11 in the UK. "I started out at Pandora, founded by Philippa Brewster," she recalls. "There was Virago, the Women’s Press, Onlywomen Press, Sheba and Pandora, and we all saw feminism become more mainstream and picked up by the corporate publishers. It’s heartening to see a revival of feminism in publishing today, and especially to see how feminist authors are insisting on more diversity. Independent publishers have a duty to publish bold books and try to avoid the mainstream derivatives. Of course we all wish we had the marketing muscle and money to retain authors, but it’s also nice to feel that the book you are publishing is making a difference. For example, we’ve just published The Inking Woman: 250 Years of Women Cartoon and Comics Artists in Britain - it’s extraordinary to think this is the first book of its kind." Lacey doesn’t hide the challenges faced by small presses, and addresses the decision that drove Myriad to seek help in order to grow and thrive. "Myriad was publishing a boutique list of fiction and graphic novels. We had Arts Council support for the first five years. After this it was increasingly difficult to make ends meet. We knew we were too small to grow ourselves, so the choice was to find an investor or to partner up with a like-minded publisher to have economies of scale and share the basic costs of running a business. We had been working with NI for years, not as a publisher but as a packager of atlases, and we knew and respected the team. It ended up being a case of what we were looking for was right under our noses. It felt like the perfect opportunity." Although driven by necessity, the merger worked both ways, providing a boost to NI’s publishing arm. "For us, we have that underpin of support: it’s so expensive to run a tiny list and now we can share the load. It feels like we’re helping each other out. NI started as a magazine with books a secondary part of the business; with Myriad on board, its books department has doubled in size." Myriad itself is a small team, and works closely alongside two of NI’s co-directors: sales and marketing manager Dan Raymond Barker, and editor Chris Brazier. 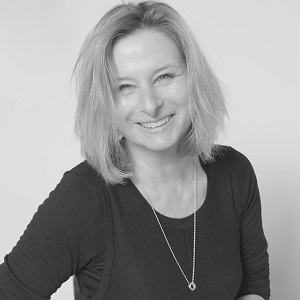 Lacey’s closest colleague in Myriad’s strategic development is Corinne Pearlman, creative director and commissioning editor of the graphics list. Does being part of NI mean that Myriad is a cooperative? "Yes, Myriad is formally part of the cooperative. Our colleagues are being very patient with us as we learn this new way of working!" Lacey confirms. While there have been significant changes at the publisher, Myriad’s core beliefs remain the same. "Like many small publishers, we publish books we love. Corinne was at the heart of the comics scene for years before we started publishing graphic novels, and this meant we could hit the ground running. Graphic novels are such an effective format for discussing difficult subjects and their often political themes work brilliantly in the context of NI. "The term 'graphic medicine' was coined by one of our authors, Ian Williams of The Bad Doctor: The Troubled Life and Times of Dr Iwan James, and exemplifies how strong our list is of edgy and art-led graphic novels. Our original mission was to discover and publish debut authors, and this remains at the heart of what we do. We organise two competitions: First Drafts for fiction and a First Graphic Novel Competition. We’ve uncovered wonderful authors; some we’ve published and others who have gone on to secure agents and six-figure publishing deals. These competitions are strong stake posts, as it were, in our ongoing commitment to supporting new talent and honouring Myriad’s core values."